Cynthia Basinet sings "Cry Me A River"
with Lee Musiker on Piano. 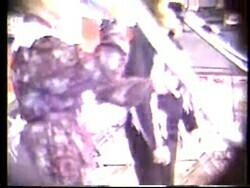 This is a video created by the webmaster, and posted with Cynthia's permission. 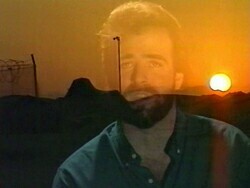 Janet McBride's son, Mark, performed for this video a song originally about Desert Storm. It's message is still very viable today, especially while we celebrate July 4th in the United States. The video was created in 1991. 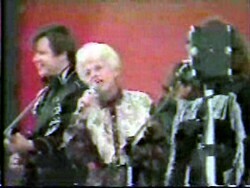 The song was written by Sheryl Caddick. There is a dark screen at the beginning. I've included this presentation because of its attempt to be balanced in political posture. President Reagan rides in his chariot right beneath where Janet McBride and the Opry performers sang. 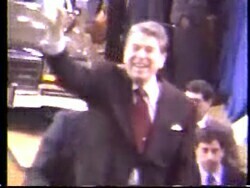 WFAA-TV broadcast the news of President Reagan's appearance at the Mesquite Rodeo 11/5/88. This video was cut off to remove any heavy political references. Janet McBride sings with Jamie Shipman, Art Greenhaw and members of the Mesquite Opry Band. Somewhere hidden, President Reagan must have heard these performers, because, after the meeting was over, he thanked them all. 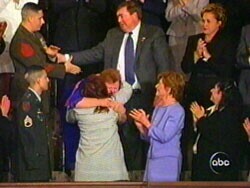 President Bush acknowledged, before the nation, the parents of Sgt. Byron Norwood who gave his life protecting this country. President Clinton gives a rather stern warning to Saddam Hussein as early as 1998. 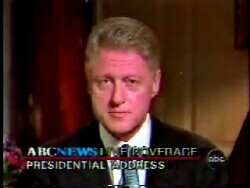 President Clinton tries to put closure on the gossip that America was spreading at the time. This speech is notable to HeroesWest.com because President Bush, Sr., was one of the few, if not the only, politican(s) to refuse to gossip on this matter. Lisa's dad shows the weight room where Lyle Alzado would join him at his home to work out. 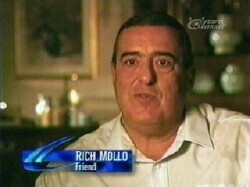 Mr. Mollo describes Lyle Alzado's prowess as a seventeen-year-old.